This crown back style chair features a beige diamond textured fabric and gold frame. 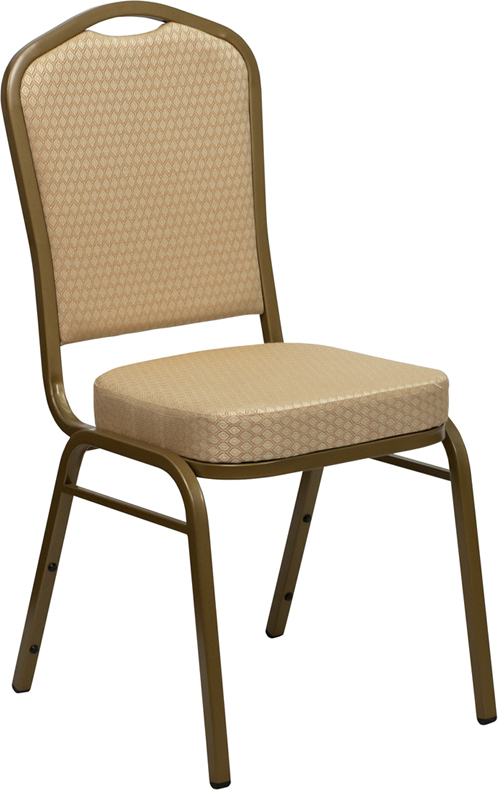 Beige is one of the most popular banquet chairs. Crown back style chairs have a larger, and more comfortable back then other styles.